Tastefully upgraded T model In Winslow's View Community in the Pinehills. This beautifully appointed condo has a wonderful floor plan with granite counter tops, SS appliances with skylight and cathedral ceiling in Kitchen including a pantry and broom closet . 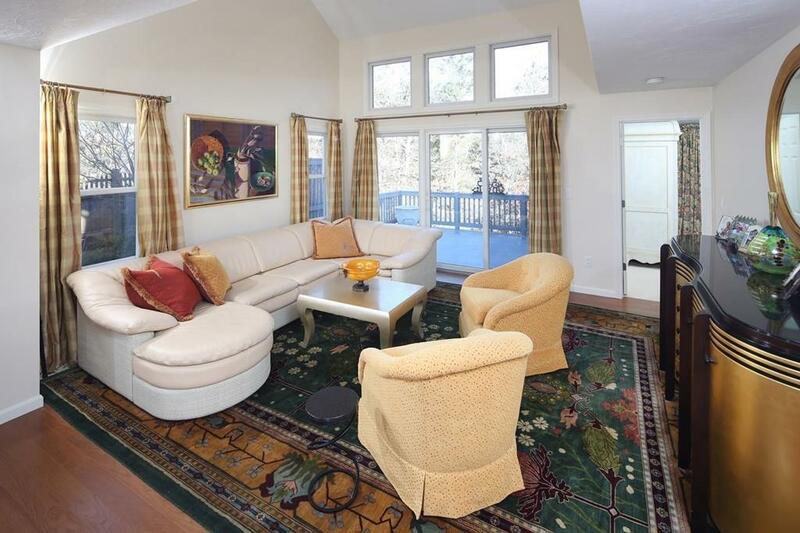 FR has cathedral ceiling, fireplace and access to a private side yard deck to enjoy the outdoors. Beautiful Hardwood floors in LR, DR , FR and Kitchen. A Dinning Room for entertaining and views of the court yard. Living Room has cathedral ceiling with access to a sizeable deck via sliders and transom windows make this room very inviting. Master Suite has cathedral ceilings, triple window and two large closets for a retreat setting and a Master bath with separate shower and soaking tub, double vanity and linen closet. Upstairs a sizeable Loft for an office/craft/ reading room area. A full bath for guests to enjoy and a large private 2nd bedroom. In addition there is a half bath and laundry on the first floor. Come View!